Mobile has reprogrammed your customers' brains. Your customers now turn to their smartphones for everything. What's tomorrow's weather? Is the flight on time? Where's the nearest store, and is this product cheaper there? Whatever the question, the answer is on the phone. This Pavlovian response is the mobile mind shift - the expectation that I can get what I want, anytime, in my immediate context. Your new battleground for customers is this mobile moment - the instant in which your customer is seeking an answer. If you're there for them, they'll love you; if you're not, you'll lose their business. Both entrepreneurial companies like Dropbox and huge corporations like Nestlé are winning in that mobile moment. Are you? -Find your customer's most powerful mobile moments with a mobile moment audit. -Master the IDEA Cycle, the business discipline for exploiting mobile. Align your business and technology teams in four steps: Identify, Design, Engineer, Analyze. -Manufacture mobile moments as Krispy Kreme does - it sends a push notification when hot doughnuts are ready near you. Result: 500,000 app downloads, followed by a double-digit increase in same-store sales. -Turn one-time product sales into ongoing services and engagement, as the Nest thermostat does. And master new business models, as Philips and Uber do. Find ways to charge more and create indelible customer loyalty. -Transform your technology into systems of engagement. Engineer your business and technology systems to meet the ever-expanding demands of mobile. It's how Dish Network not only increased the efficiency of its installers but also created new on-the-spot upsell opportunities. 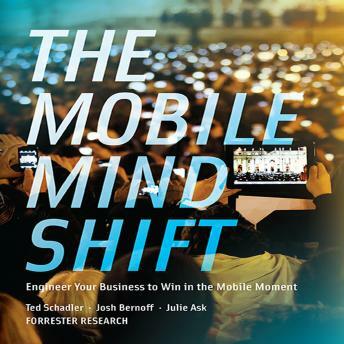 Mobile is rapidly shifting your customers into a new way of thinking. You'll need your own mobile mind shift to respond.